Quickly toss together the ingredients for Cashew Curry, place it in the solar cooker, point the cooker to the midday sun, and head to work. You'll come home to a ready-to-eat hot meal. Solar cooking is a simple and easy way to prepare a meal without heating up the kitchen, simply by using the sun's heat. Perfect for dishes requiring delicate cooking like Cheese Strata and Solar Baked Custard, and fish cooks up moist. Eliminate parboiling and marinating--it's done all in one step. Lifelong camper Linda Frederick Yaffe has written for Backpacker magazine. 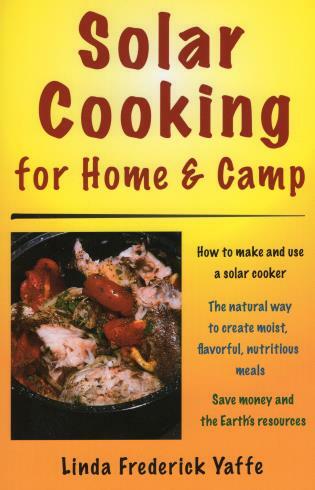 Her previous books are Solar Cooking for Home & Camp, High Trail Cookery, and The Well-Organized Camper. She lives in Auburn, California.